TaoTronics Clothes Steamer Just $13.99! Down From $30! You are here: Home / Great Deals / Amazon Deals / TaoTronics Clothes Steamer Just $13.99! Down From $30! Amazon is currently offering this TaoTronics Clothes Steamer for just $13.99 down from $29.99 PLUS FREE shipping with Amazon Prime or for orders over $25! TaoTronics Compact Handheld Steamer For Clothes provides all the perks that make ironing a fun and pleasant experience. It is compact, has a sleek look and is easy to operate. 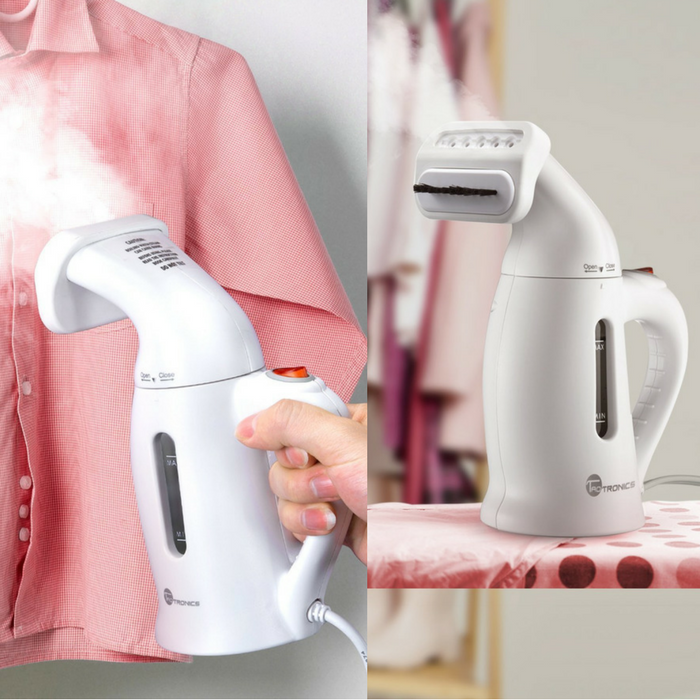 Quickly heating up in 90s, the handheld clothes steamer produces hot steam that removes garment wrinkles within a couple of minutes. As versatile and portable as it is, the steamer works for all kinds of fabrics, including delicate clothing, drapery, furniture upholstery, bedding and table linens etc. Use the portable steamer at home or bring it on your trips so you’ll always begin a beautiful day with a spruced up look. With TaoTronics fabric steamer, wrinkle-free is no longer a chore but a treat. Easy and convenient control with only one on/off switch, everyone can use this steamer, even man can learn to iron his own clothes.